Thank you again for your support to Generations For Peace volunteers in Nigeria! We have raised over $3000, with another big pledge on the way, bringing our total to almost 60% of our goal! In a Participatory Evaluation, everyone has a say and everyone’s opinion matters. This method gives voice to those who were involved with the programme itself – specifically, the Target Group, Beneficiary Community, Volunteers and Stakeholders. GFP is first and foremost a volunteer-led organisation, therefore the PE method was chosen because it matches this mandate by handing over control to the volunteers themselves. Programmes in Nigeria started in 2008 and are among the most established for GFP. In 2014, GFP volunteers ran four Sport For Peace Programmes in four different girls schools in Kaduna. In a nutshell, sport-based activities coupled with peace-building education aimed to increase girls’ confidence and improve their communication and leadership skills. More broadly, the programmes aimed to challenge gender norms that prevent girls from reaching their full potential and being able to participate in decision making in their communities later on in their life. Therefore, the four Kaduna Sport For Peace programmes touched upon three conflict dimensions: personal, relational and cultural. However, the PE process is not without its problems. A demanding procedure, it places strain on our volunteers. I saw for myself the amount of work involved in organising the event: making sure everyone who needs to can attend, ensuring that they have transport, getting the venue ready, making sure they have all the needed materials, that the refreshments arrive on time – the list goes on. On top of this, the process needs to remain actively participatory; our volunteers have to ensure that everyone involved is making a contribution and that their voice is being heard. These observations, and many others taken from the field, will be used to improve the GFP PE process so that it is easier to follow and produces the most useful results – for the volunteers and for their community. Collectively, my observations, along with ongoing research being carried out by GFP, should result in a report that informs this process for the next round of GFP PEs. 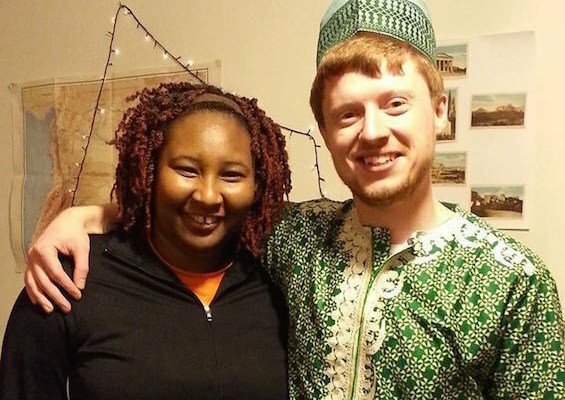 For my new outfit, for all of these experiences and for all that I learned I would like to thank our volunteers in Nigeria! Meet Abdiel Kude, a Generations For Peace volunteer in Kaduna, Nigeria. (Click here to meet Joy, who shared her experience with us in the last update). Thanks to your support, we have reached over 30% of our funding goal. We still hope to raise $7000 to cover the full cost of this program by the end of June. Please continue to share our campaign with your friends, family, and social media networks and help us meet our target! Read on to learn more about what inspires Abdiel to volunteer with women in his community to build peace, and how your donation will help support this initiative. Abdiel Kude felt the consequences of ethnic violence on his own family in 1992, when the clashes between the Atyap and Hausa tribes spilled over to other cities in Kaduna and Kano States. The crises led to the loss of thousands of lives, destroyed property worth millions, and caused a lot of trauma for many families - including Abdiel’s. This experience led Abdiel to change his career path and dedicate himself to community work. 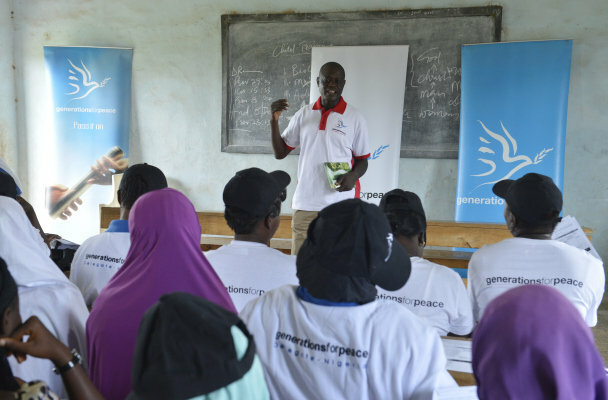 While Abdiel had volunteered with a number of other community organizations, his involvement with Generations For Peace began through a training organized by another GFP-trained volunteer in 2012. Shortly after, he set up a series of programs for teachers and youth from different ethnic and religious communities, adressing the issues of youth violence and gender inequality. Being a multi-ethnic country, Nigerian volunteers are targeting a diverse range of groups divided along religious, ethnic and gender lines. By engaging these groups, Abdiel’s aim was to improve their relationships and establish communication channels that would challenge the deeply held prejudices within their communities. He has worked with hundreds of youth, students, and teachers, and is now devoted to the Women's Empowerment for Peace program. Q: Abdiel, what drives you to do the work that you do? From a much younger age, I knew that I would not be doing a regular job like some choose to do. I did not want to work for the government or a corporate establishment. I felt compelled by my family to take up a government job at one point in my life, but I only did that for six months before I resigned. My terrain is the community, with the people. The size of the group does not affect the work; however most times I say smaller is better. I seek to drive change at the community level. It has not been easy, especially as different people have varied views of what change means, so coordinating these differences and achieving one direction is critical. 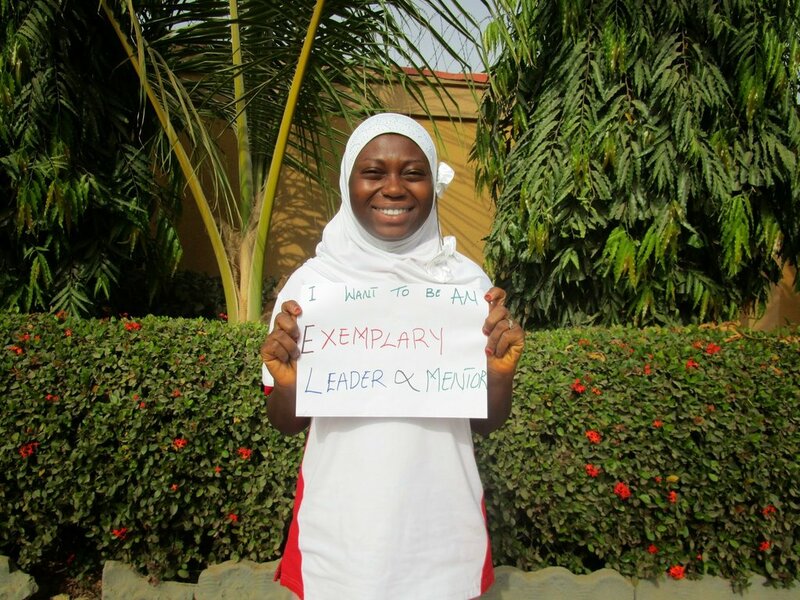 Q: What are some of the issues women face in Nigeria? Some societal issues women face in Nigeria relate to low self-perception (a large number of women do not see themselves as pro-anything), low self esteem, relegation by men in the community and society at large, imbalance in education (when families support a higher level of education for male offspring as opposed to female family members), early marriage, teenage pregnancy, poor livelihood skills, and religious and cultural beliefs that further disempower women. All of the issues mentioned are informally, but powerfully, sustained by folklore, cultural, and religious norms and values. Q: What role should men play in supporting women in leadership and decision-making positions? I think the best role men can play in supporting women in leadership and decision-making positions is an affirmative one. Men should affirm competent and capable women, seeing that incompetence is not a virtue. The development of skilled women with the potential to take up leadership and decision-making roles will be a huge investment, with even greater returns. Q: You are currently conducting a women’s Empowerment for Peace Programme with your fellow volunteers: why now and why this programme? This programme aims to build women’s individual livelihood skills that will, in turn, increase their capacity to break free from the poverty cycle. It also focuses on developing decision-making skills that will enable them to integrate into community life and their society at large. Q: What are your hopes for the programme? My hopes for the programme are that it should succeed for the women participating in it, and that their livelihood skills are built to a point that they are self-reliant. Also, that they will find their place, enabling them to properly integrate into their community life by getting involved in decision-making processes. Finally, I hope they become role models that other women aspire to be like. Nothing is more powerful in a community than a successful role model. Once the results are visible to the community, the rate of acceptance and adoption of the values and practices displayed by the individual modelling those values is much higher, and the impact more sustainable. Q: Why Generations For Peace? I volunteer with GFP because they have helped me put a lot of life issues in focus. I have volunteered with many other organisations previously, and I still do, but GFP has helped me move away from stereotype thinking. Working with GFP has also helped me develop a more grounded and positive approach to life, including maintaining good relationships. GFP has a well-tested behavioural change programme approach that is targeted at small groups and at the community level – right where change happens. And they keep improving on it. Furthermore, it is always good to work with an organisation that holds high standards as GFP does. The way I see it, GFP volunteers, like myself, simply need to key into the GFP approach and hang in there! Please, help Abdiel and Generations For Peace meet our fundraising goal to empower women for peace in Nigeria! 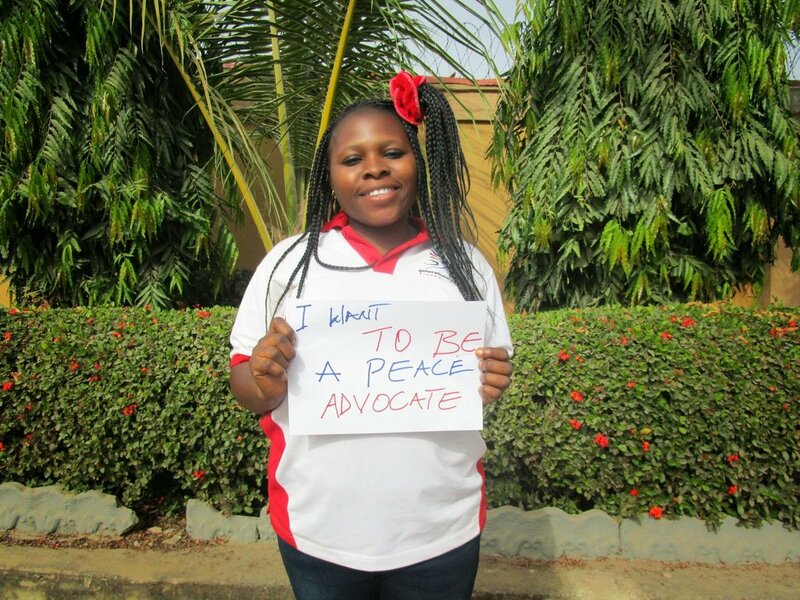 Joy Anthony is a Generations For Peace volunteer in Kaduna, Nigeria. Thanks to your generous support, she and her fellow volunteers will be working to empower women in her community, building skills that will help them to escape and transform the ongoing violent conflicts they face. Joy answers a few questions below to tell you more about her work. We will only reach our goal of raising $7000 in 30 days with your support. 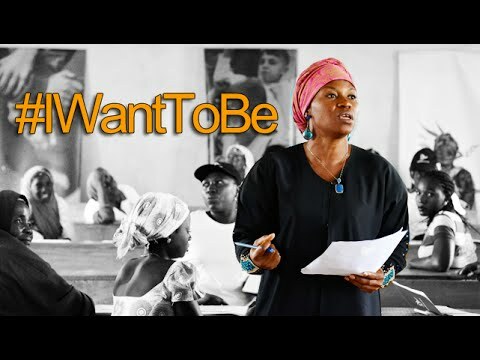 Help Joy and Generations For Peace make the #IWantToBe Empowering Women For Peace in Nigeria campaign a success by using your social media networks! 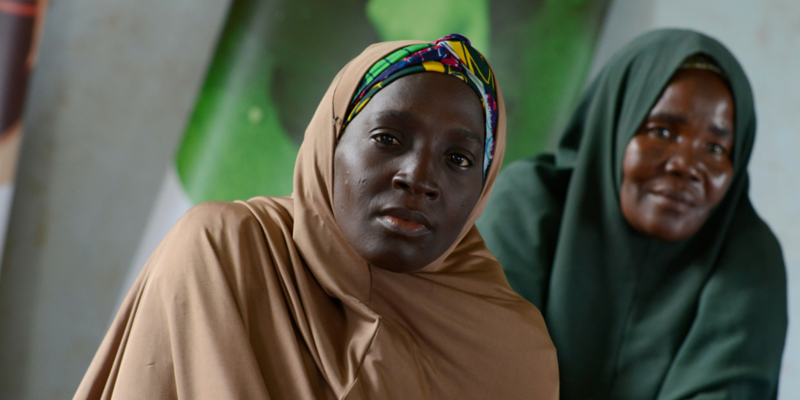 Women in Kaduna face many challenges that prevent them from being guaranteed gender equality and empowerment. For example, a number of women are unaware of their inheritance rights and the freedom to purchase land due to inconsistent religious interpretations concerning these rights. Women in the community are not as actively involved in community decision-making due to their disempowerment (e.g. from lack of skills or resources for income generation). There is limited knowledge and skills for effective advocacy efforts. There are feelings of helplessness and a belief that they cannot adequately initiate change in their communities. Community heads’ have an inability to work with women on peace building and conflict transformation issues that arise within communities. The programme focuses on helping women realise the important role they can play as women in the prevention and transformation of conflicts, peace negotiations, peace building and reconstruction. The programme equally seeks to inculcate sustainable positive values, life skills, and income generating skills. Q: Can you tell us a bit more about the women you will be working with? 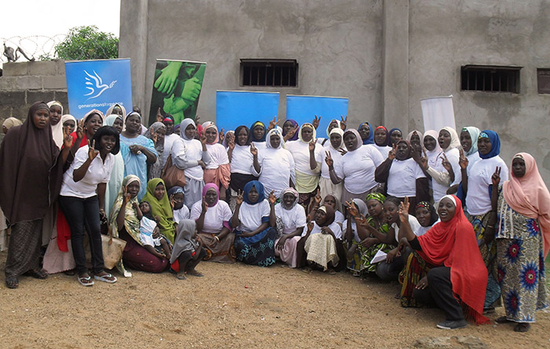 Thirty women were selected from ten different communities in Kaduna State - three women per community. Their ethnic groups include: Hausa, Fulani, Tiv, Igbira, Bajju, Tyap, Gbagyi, and Yoruba. They come from both Christian and Islamic religious backgrounds and are aged between 25–50 years old. They were selected because of their commitment and involvement in programmes that concern the wellbeing of women in the community. Most of them are female leaders in the community who form groups and community based organisations that support other women. Men should assist and encourage women to take up roles of responsibility in community engagement, as their involvement can make a meaningful contribution to the growth of a community. To see women actively engaging with members of the community. To see a commitment to the promotion of gender equity. To demonstrate the value of women in decision-making and conflict transformation roles to the relevant authorities in the communities, which will transform the current situation. 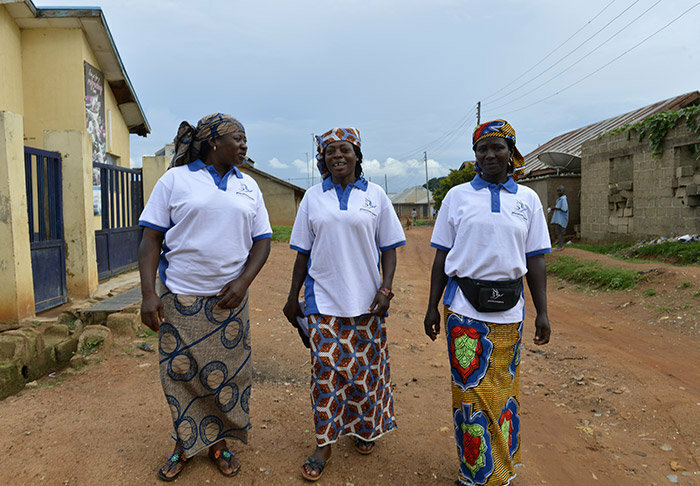 To promote the active engagement of women at the community level, which will lead to improved relationships between different groups and individuals in the communities. To increase the number of women involved in community decision-making! I volunteer with Generations For Peace because of their focus on community development and peaceful co-existence among people. Q: What drives you to do the work that you do? The passion to make a change in my community drives me to do the work I do. 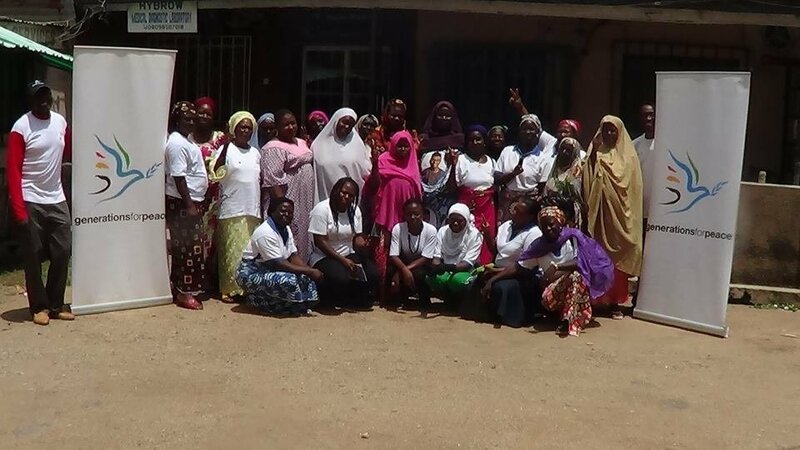 Please, help Joy and Generations For Peace raise $7000 by the end of June to support this important work for women in Nigeria. Donate your social media reach and share our story today. 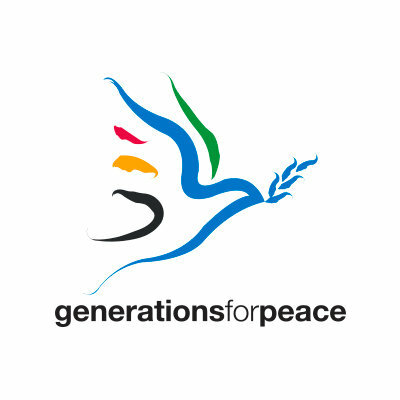 Get updates from Generations For Peace volunteers worldwide! Update #1: $1000 raised so far! 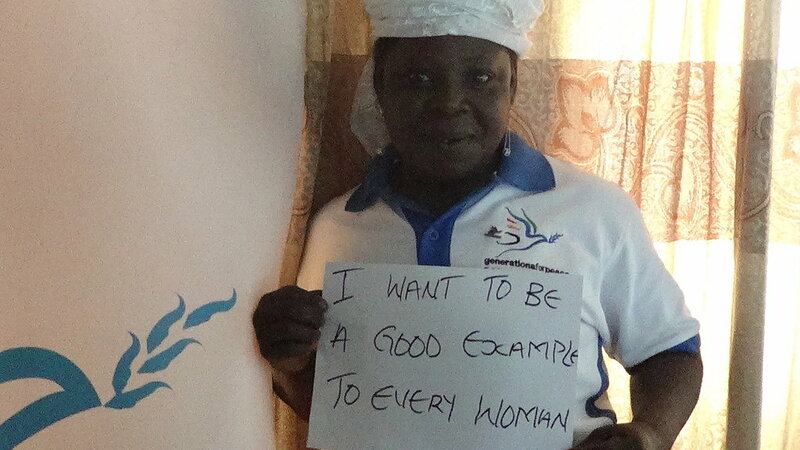 Thanks again for your support of our project, #IWantToBe: Empowering Women For Peace in Nigeria! We have raised over $1000! This is a good start, but we need to keep it going to raise the rest of our $7000 goal by June 30. Please tell your friends and family about this important project, and help us empower more women to build sustainable peace in Kaduna. Read on to learn more about the context in which Generations For Peace volunteers are working in Nigeria. After 46 years of British rule, Nigeria gained independence in 1960. Upon their departure, the British left a federal government in Nigeria that represented each of Nigeria’s three major ethnic groups (Hausa, Yoruba and Igbo) by region. However, as the electoral institutions were new and fragile, the post-independence government was left susceptible to a series of military coups and a violent civil war (1967-1970). After 16 years of military rule, democracy returned to Nigeria in 1999. Today, despite being Africa’s second-largest economy – ethnic tensions, and militant violence continue to pose serious threats to the stability of the country. Religious Tensions: divides have been particularly high since the violence that broke out between Muslims and Christians in 1987 (the Kafanchan disturbances), 1992 (clashes in a marketplace in Zangon-Kataf), and 2000 (Shariah riots in Kaduna City). Gender Inequality: limited access to secondary school education as a result of poverty, early marriages, and poor health care access. Poverty: caused by a booming population, income inequality and related crime (kidnappings, extortion). In an attempt to address some of these conflicts, Generations For Peace has been working in Kaduna, Nigeria since 2009. 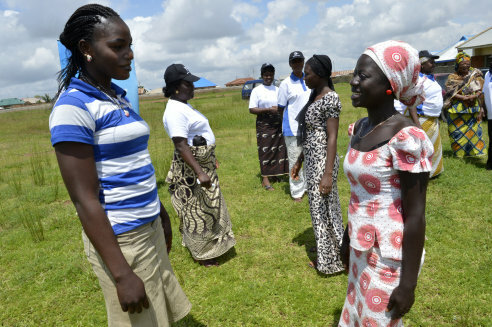 Aiming to reduce religious tensions, increase gender equality, and improve economic opportunities, GFP continues to implement regular Sport, Advocacy, and Empowerment For Peace Programmes across 15 communities, training more than 180 volunteers in peacebuilding and conflict transformation who have in turn reached more than 5000 people. share this project with your friends and family with your own social media posts, and help us empower more women to build sustainable peace in Kaduna. We look forward to sharing more with you soon! Keep an eye on our Facebook page for lots of updates and more stories from the field. Get updates about Generations For Peace around the world!